A pair of upright cabinets on stands in two parts. 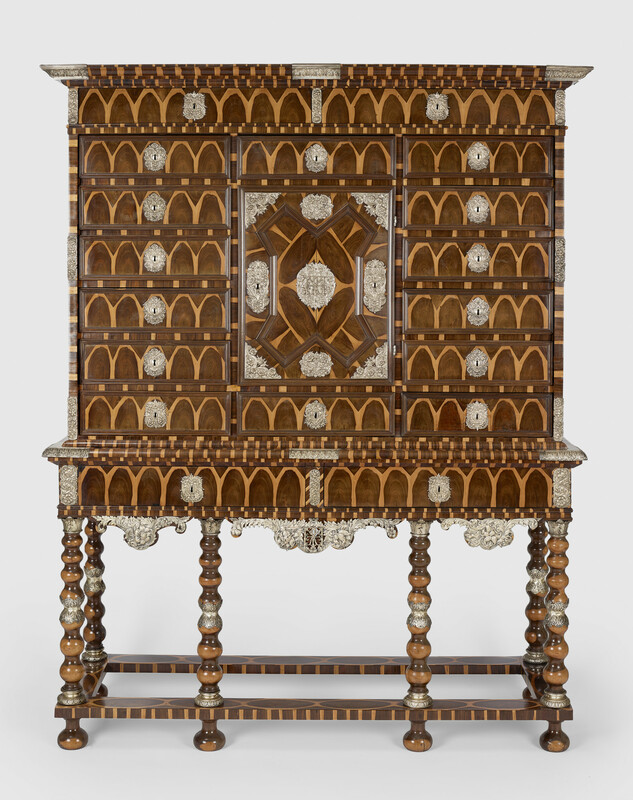 Oak veneered in oyster cuts of cocus wood and inset with silver plaques with embossed foliate decoration, two of which also bear the cypher Queen Henrietta Maria - HMR. Lower stage with two drawers in the frieze supported on six bobbin turned legs joined by stretchers.